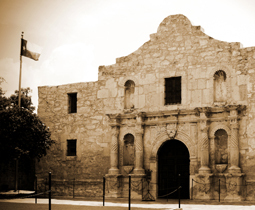 Nicknamed The Lone Star State with a motto focusing on ‘friendship’ Texas is the second largest of the US states. Synonymous with oil fields, cowboy hat-wearing businessmen and the typical Texan drawl the state borders with Mexico, New Mexico, Oklahoma, Arkansas and Louisiana. Considering its size there is never a shortage of fun things to do while in Texas. A few days in Austin and you can let yourself loose at the waterpark in Volente Beach with its water slides, ‘little kids’ area and its sandy beach. Visit Zilker Park with its fun activities for all the family – include a visit to Barton Springs and the Zilker Botanical Gardens. Do not miss out on other intriguing attractions like that offered by the bats under the Congress Avenue Bridge, or the 100 species of different rescued animals housed at the Austin Zoo. If Forth Worth is on your vacation plan be sure to experience a typical rodeo and Wild West Show at the Fort Worth Stockyards or indulge yourself in some personal shopping time in Sundance Square. For some precious couple time out without the kids honky tonk your night away at Billy Bob’s Bar. For a little paradise on earth be sure to follow the Texas Coastline towards Mexico till you arrive at South Padre Island with its endless stretches of beach and all the delightful ancillary stuff one can fit in while there such as parasailing, beach shoveling, Frisbee playing, boogie boarding and fishing.